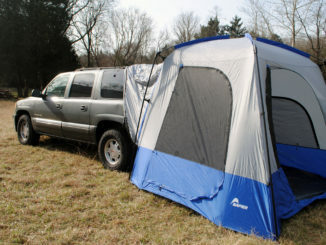 If you can sleep two people in the back of a good-sized SUV, and four people in a tent, then if you could put the tent and the SUV together, you could sleep six. 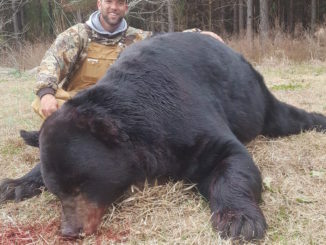 640-pound bear killed in Edgecombe County, N.C.
For Michael Taylor of Raleigh, N.C., a routine bear hunt on Dec. 17 in an Edgecombe County swamp thicket turned into a monumental experience when a 640-pound male black bear stepped out 15 feet from him along the trail without any dogs or any other hunters in sight. 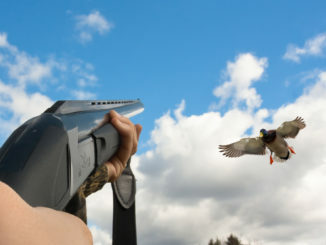 What are your thoughts on Sunday hunting for migratory birds? How do you feel about hunting migratory birds on Sundays? It’s currently not legal in North Carolina, but the NCWRC has invited people to participate in a discussion with the goal of finding out how much public support or opposition exists for migratory bird hunting on the Sabbath. 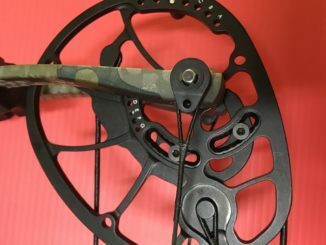 Gary Gusler of Burlington knew an astounding whitetail lived at a farm where the hunter had taken three nice bucks the previous three seasons, but he didn’t have a trail-camera photo of the 14-point non-typical wall-hanger. On Nov. 22, he finally got a close up look at the deer after he shot it. This special opportunity is available statewide on all private lands and select WMAs for youth who are ages 17 and younger. 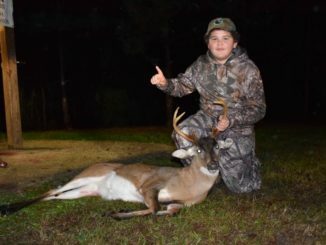 Youth hunters must be accompanied by a licensed adult 21 years of age or older. Only the youth may take or attempt to take deer on this day. Hunting license requirements are waived for youth on this day. However, the USE OF TAGS IS REQUIRED. 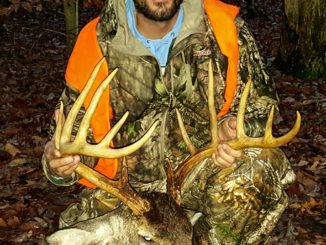 As Aaron Loftin of Gastonia, N.C. sat in his climbing stand 300 yards from his friend Mike May of Indian Trail, NC on the afternoon of Dec. 9, he had already made his mind up to let a big buck walk if it was headed in May’s direction — and he did just that. 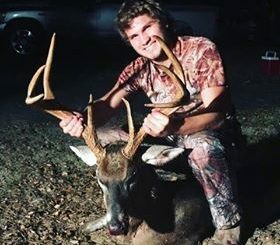 But when that buck made an about-face and trotted back to Loftin, he laid out the 159 ⅞-inch, Gaston County 12-point before it could flee. 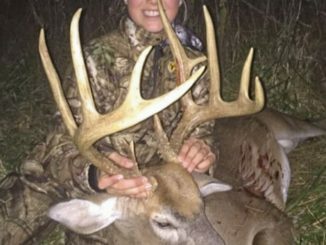 Taylor Apple is all of 12 years old, but she has a deer-hunting resumé the equal of many veteran hunters. 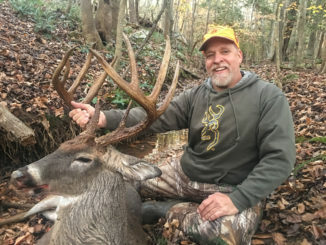 Through a chance meeting with a landowner, Michael Vargo of Oxford, NC gained hunting access to a piece of property that he had been eyeballing for a while. 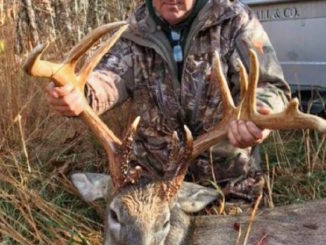 Although he had seen plenty of deer from the highway, he didn’t know it would hold the biggest buck he had ever taken — a 159-inch, Granville County 10-point that he harvested on Nov. 17. 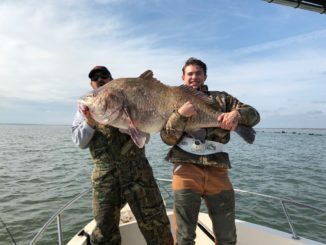 Adam Kirby is the chef and co-owner of Bistro 217 and The Rustic Table, two quaint restaurants in Pawleys Island, S.C., and while he enjoys preparing seafood dishes for his customers, he does more than just cook fish. He also loves to catch them. 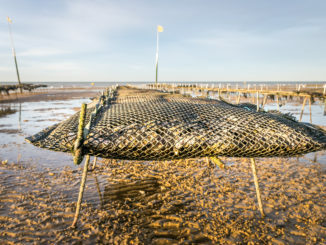 Will a piece of legislation passed earlier this year by the N.C. General Assembly to promote aquaculture operations in the state’s coastal waters wind up closing down some of those waters to fishermen, hunters or boaters?